Last week I posted of seeing my first bear this year. With two beautiful cubs. Seeing them from a comfortable distance. I was in my truck. 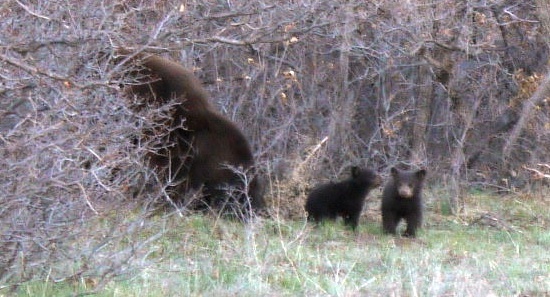 Jerry, those cubs are adorable, but I must say I am glad that our visitor wasnt a mamma bear! Wow, I agree with you, Jerry. I will need a telephoto lens for my first picture of a bear. The Youtube video was impressive and convincing for this Summertime Resident to respect the local lore about bears.